New Zealand has the oldest "lizard", the most flightless birds, and now they have made the oldest enzyme for themselves. The University of Waikato, near Hamilton, has computed accurate predictions about the size, shape, composition and the amazing speed of ancient bacterial enzymes. 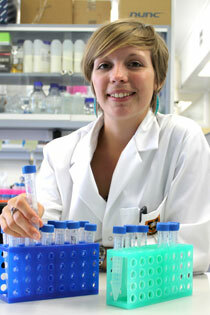 Associate Prof. Vic Arcus and Dr. Jo Hobbs have made the ancient Bacillus work. With the help of a present day relative, the Pre-Cambrian world has been recreated. The enzyme in the modern cell is very stable at high temperature, as you would expect from a period when extremes of temperature were common on the Rodinia supercontinent (and in the seas). Only bacteria were thought to exist before the Cambrian period and this bacterium seems to have been thermophilic or heat-loving. "The billion-year-old enzyme is from a Precambrian ancestor of a modern bacterium called Bacillus," explains Vic Arcus. "To our surprise, the ancient enzyme is very stable at high temperatures and very, very active - seven times more active than a comparable modern enzyme. This means that the Bacillus ancestor most probably lived in a hot, inhospitable environment a billion years ago." The two researchers created several enzymes that allow us to trace enzyme evolution to the present day. The optimum temperature of each enzyme is that at which it can operate best. Each of their "creations" had different optima. A billion years ago, it was 70o F, but after glaciations and whatever happened in the Snowball Earth period, optima became lower and some then evolved higher temperature sensibilities again. Of course Bacillus type bacteria can live now in many extreme temperatures from sulphur pools to glaciers in Antarctica. 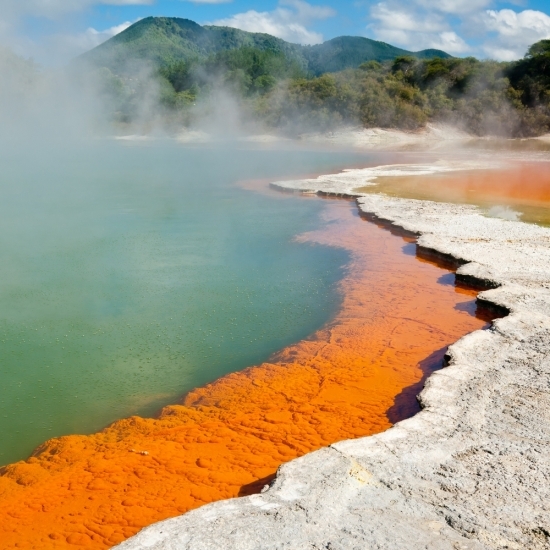 The several researchers in this paper have proved that thermophily can be a primitive trait, but has also evolved more than once in the history of the ancient Bacillus. On the Origin and Evolution of Thermophily: Reconstruction of Functional Precambrian Enzymes from Ancestors of Bacillusis a paper in the Journal of Molecular Biology and Evolution.